For the last 26 years, CHELAN PARASAIL & WATERSPORTS has been providing clients with exciting adventures on Lake Chelan such as renting boats, jet skis, paddle boards, and our renowned parasailing experience which boasts panoramic views of the Cascade Mountains, estate wineries and vineyards, as well as downtown Chelan and Manson. Our business started out solely offering parasailing, but then quickly expanded to other water sport rentals as adventure called. Our Lake Chelan rentals include a diverse fleet of boats to meet all of our customers’ needs, whether you are planning a bachelor or bachelorette party, corporate event, or just a day out on the water with your family. Some of our boats can even carry up to 22 passengers for your convenience. As Washington’s first parasail company, safety has always been our main priority. 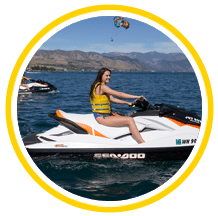 We strive for all of our customers to have a desirable experience while safely exploring Lake Chelan; whether it be from hundreds of yards in the air or jumping a wake, customer welfare is always our number one concern. Our emphasis on caution is what truly allows us to boast 26 years of customer safety. Whether you are looking for a place to go parasailing near Seattle or Lake Chelan jet ski rentals, you can turn to CHELAN PARASAIL & WATERSPORTS for a memorable adventure on the water. Contact us today or book online for your next Lake Chelan expedition. We are Washington States first parasail company. Celebrating 26 years on Lake Chelan! The best jet skis on the lake! Latest 2017 Sea-Doo models for 1, 2, 3, and 4 people. Lake Chelan's original boat rental company. 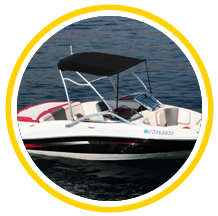 Featuring sport boats, pontoons, paddleboards, & more! 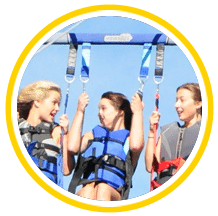 Chelan Parasail is your one stop for water sports fun. Our friendly staff can get you set up with whatever you need to enjoy the lake, from boat rentals, to paddle boards, jet skis, parasailing, and more. Call us today and see how we can help make your Chelan vacation the best yet.